Published & copyrighted by Amanotes JSC. Magic Tiles 3 is one of the most popular piano games that has more than 17 million players around the world. In 2017, we have added the new daily quest system in game which helps you to get more diamonds and unlock more piano songs, etc. Further, the game is also added V.I.P Pass which includes all new and HOT songs. In additional, the battle mode is also improved with more challenges. Thus, this is special version in various genres of piano games which combines various instruments such as guitar, drum, and especially piano! Moreover, this is one of the popular new games 2017 which provide user the high-quality piano songs and beautiful gameplay. Let’s play Magic Tiles 3 on your mobile - One of the best free new games 2017! It’s similar to other piano games, you just have to tap the black tiles and avoid the white tiles then enjoying wonderful music in game. Band mode where you can play with more instruments such as guitar, piano, and others. 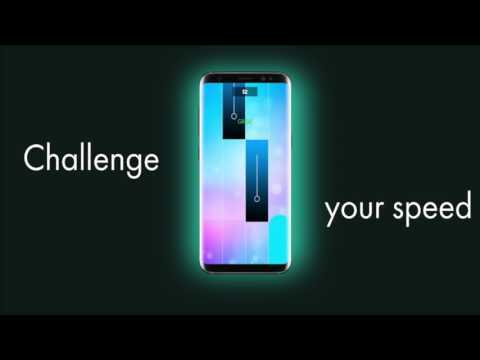 - Battle mode creates the opportunity for players to compete with others around the world which leads Magic Tiles 3 become such a unique piano online. - The special playing technique which is the “perfect, great, cool” accuracy baseline. It requires users to perform accurately and increase the game’s challenges. So, get ready and try out the piano games for FREE! The attractive piano online which is more challenging than you could imagine. Become a real pianist now! And catch up the trend with this new games 2017 right now!